The originally planned August release date is delayed. 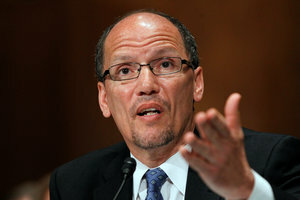 The Department of Labor announced Tuesday that it will delay releasing its controversial fiduciary redraft until at least January 2015 from the originally slated August release date. DOL made the announcement that its proposed rulemaking under its Conflict of Interest Rule would be delayed under a change to its regulatory agenda. Phyllis Borzi, assistant secretary of labor for DOL’s Employee Benefits Security Administration, said in mid-March that release of a fiduciary redraft could come sooner or later than the arbitrary August deadline that was in the original regulatory agenda. SEC Chairwoman Mary Jo White has said that the agency would make a threshold decision this year on whether to move forward with a fiduciary rulemaking. However, SEC Commissioner Daniel Gallagher said recently that a fiduciary rulemaking by the SEC would not “stave off” the planned upcoming release of a fiduciary redraft by DOL. The rerelease of a DOL rule proposal to amend the definition of fiduciary under the Employee Retirement Income Security Act is “a very real issue, and we have to take it into account,” Gallagher said. Gallagher also said that the DOL is “dealing with different issues and a very different statutory construct” under ERISA, than the SEC is under the securities laws, and the agency’s authority under Section 913 of the Dodd-Frank Act. “This rulemaking would reduce harmful conflicts of interest by amending the regulatory definition of the term ‘fiduciary’ set forth at 29 CFR 2510.3-21(c) to more broadly define as fiduciaries, employee benefits plans, and individual retirement accounts (IRAs) those persons who render investment advice to plans and IRAs for a fee within the meaning of section 3(21) of the Employee Retirement Income Security Act (ERISA) and section 4975(e)(3) of the Internal Revenue Code.